STAG supplies conveying technology for all types of bulk materials applications involving fine and large-grained powders, free flowing or viscous products, transportation over short or long distances, large or small conveying capacities, and standardised or specialised applications. Whenever pneumatic conveying systems are an option, our customers can choose between different technologies. The decision is taken on the basis of the individual customer’s requirements and its immediate application. 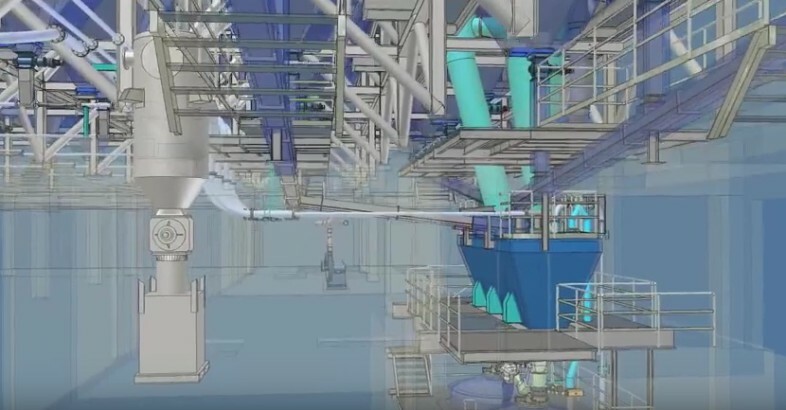 Depending on the situation we either use the tried-and-tested STAG dense phase conveying system with transporters (pressure conveying vessels) and the unique DenseFlow Pipe System (DFS) or the conventional lean phase conveying systems with injectors and rotary valves or also the conveying with air slides conveying trough. Either system may be the system of choice and have its respective benefits in the field of application. Often some combination of those technologies – and also in combination with mechanical conveying systems – is needed to arrive at an optimal solution.